At this point every aspect of Star Wars: The Last Jedi has been picked over, combed through, and analyzed tighter than an episode of CSI. In the final tally, Rian Johnson left a lot of stuff on the cutting room floor that he confirms will be part of a huge Bluray release in the future, and there are apparently dozens of celebrity cameos that most people have missed. Joseph Gordon-Levitt and Princes Harry and Edward appear, along with Warwick Davis (of course! ), Justin Theroux, Edgar Wright, a whole bushel of Game of Thrones actors, and many more. Check out the full list here . 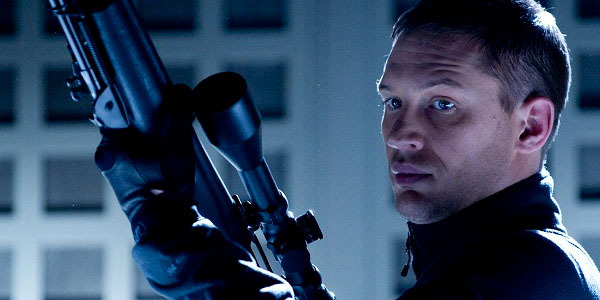 But one that didn't make it to the big screen was Tom Hardy's, but details on it have been revealed and his scene sounds pretty cool. A group of stormtroopers get in the elevator and our heroes are nervous they are going to get caught. One of the stormtroopers slowly turns to Finn and gives him a look. Finn turns around in his Imperial officer uniform and asks him what his problem is. The stormtrooper, played by Hardy with a southern accent, says “I know who you are… FN 2187! Damn boy, I never took you for officer material!” The tension is cut by the reveal that the two grew up together, but the troopers are somehow unaware of FN’s treason. While Finn’s act of desertion is a legend in the Resistance, maybe the First Order hid that information from their army so others might not get the same idea.